A symbol of good luck and wealth, the pig also one of Disney's oldest cartoon shorts. 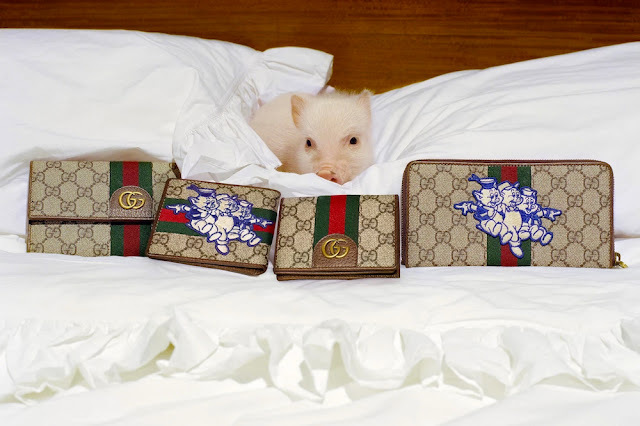 The Three Little Pigs was released on May 27, 1933 and Gucci has taken the iconic illustrations and turned them into a fun, whimsical collection. 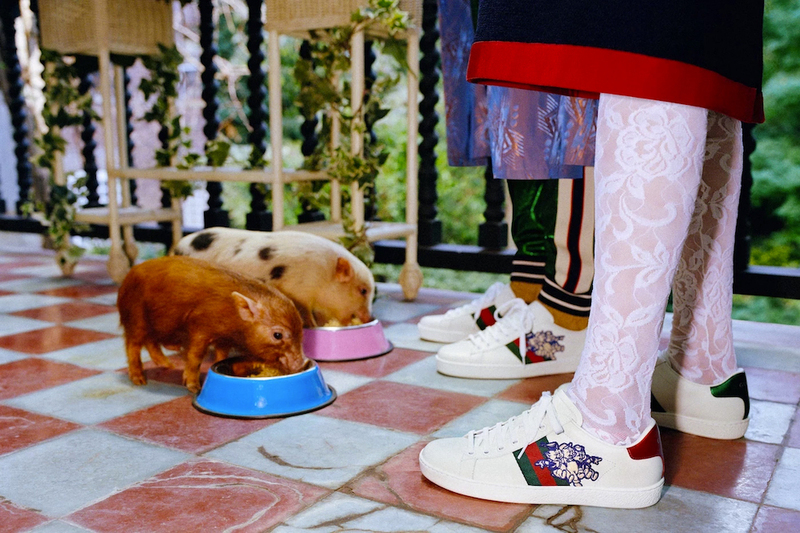 The collection is further proof that Gucci loves Disney. In his Spring 2017 collection, Alessandro Michele designed a men's sweater collection featuring Donald Duck. More recently, a Mickey Mouse handbag wowed the crowd during Gucci's SS19 runway show. The collection includes women’s and men’s ready-to-wear, small leather goods, shoes, and jewelry. The playful cartoon characters will also appear on Gucci's classic ACE sneakers and Supreme backpacks. The pricing on the collection is typical Gucci. Prices start at $250 (socks). 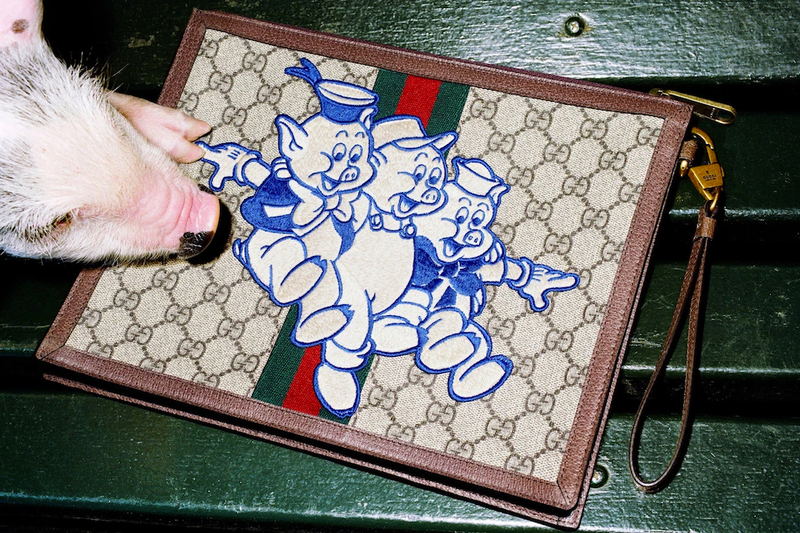 The tote (my favorite piece in the collection) is also the most expensive. It will set you back $1,980 and the back pack runs a cool $1,690. tradition and good fortune rains down on me I'll get one of each! I love seeing Disney characters on all sorts of brands! Just goes to show that you're never too old or too cool for Disney! I completely agree. It's certainly part of the magic to feel ageless!